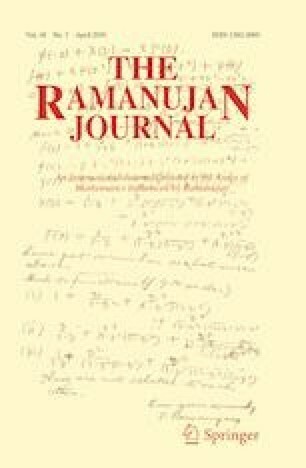 Hafner and Stopple proved a conjecture of Zagier on the asymptotic expansion of a Lambert series involving Ramanujan’s tau function with the main term involving the nontrivial zeros of the Riemann zeta function. Recently, Chakraborty et. al. have extended this result to any cusp form over the full modular group and also over any congruence subgroup. The aim here is to study the asymptotic behaviour of a similar Lambert series involving the coefficients of Maass cusp forms over the full modular group. The first author is partly supported by Infosys Scholarship Grant for senior students. The authors would like to express their gratitude to Prof. Atul Dixit and Dr. Bibekananda Maji for many fruitful discussions during this project and also to the ANTS-Group at Harish-Chandra Research Institute for productive discussions. The authors would also like to thank anonymous referee for the valuable comments about the manuscript.